Sigma factors are proteins that function in transcription initiation. Specifically, in bacteria, sigma factors are necessary for recognition of RNA polymerase to the gene promoter site. The sigma factor allows the RNA polymerase to properly bind to the promoter site and initiate transcription which will result in the production of an mRNA molecule. The type of sigma factor that is used in this process varies and depends on the gene and on the cellular environment. The sigma factors identified to date are characterized based on molecular weight and have shown diversity between bacterial species as well. Once the role of the sigma factor is completed, the protein leaves the complex and RNA polymerase will continue with transcription. Sigma factor SigR: Structure of sigma factor. The regulation of sigma factor activity is critical and necessary to ensure proper initiation of transcription. The activity of sigma factors within a cell is controlled in numerous ways. Sigma factor synthesis is controlled at the levels of both transcription and translation. Often times, sigma factor expression or activity is dependent on specific growth phase transitions of the organism. If transcription of genes involved in growth is necessary, the sigma factors will be translated to allow for transcription initiation to occur. However, if transcription of genes is not required, sigma factors will not be active. In specific instances when transcriptional activity needs to be inhibited, there are anti-sigma factors which perform this function. The anti-sigma factors will bind to the RNA polymerase and prevent its binding to sigma factors present at the promoter site. 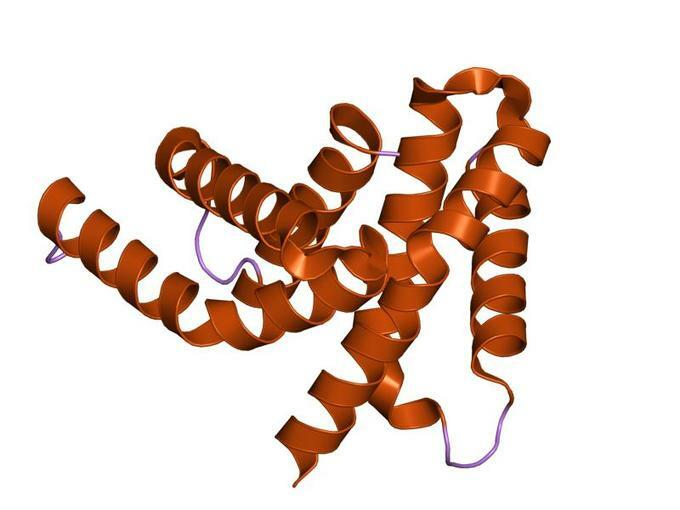 The anti-sigma factors are responsible for regulating inhibition of transcriptional activity in organisms that require sigma factor for proper transcription initiation. Sigma factor proteins promote binding of RNA polymerase to promoter sites within DNA sequences to allow for initiation of transcription. Sigma factors are specific for the gene and are affected by the cellular environment. Sigma factors can regulate at both a transcription and translational level. Anti-sigma factors are responsible for inhibiting sigma factor function thus, inhibiting transcription. growth phase transitions: The various phases required for bacterial growth include: lag, exponential, and stationary phases.